← I May Be Crazy, But It Keeps Me From Going Insane…..
A symbol is something that represents an idea, a process, or a physical entity. The purpose of a symbol is to communicate meaning. For example, a red octagon may be a symbol for “STOP”. On a map, a picture of a tent might represent a campsite. Numerals are symbols for numbers. Personal names are symbols representing individuals. A red rose symbolizes love and compassion. In order to better understand the richness of the symbol, let us consider for a moment the pyramid. It commonly represents the famous tomb of Kings and Queens of ancient Egypt. To the layman, pseudo-scientific, supernatural and romantic entertainment on pyramids is appealing. Science fiction and Egyptomania leads readers to get caught in fantasies but in all cases Pyramids are the greatest monumental structures on the planet known to mankind. “PYRAMID” is a greek word consisting of two words ‘PYRA’ + ‘MID’ where the term PYRA means”FIRE” and MID means “Center Core”. Hence it is said that an Object which contains “FIRE” (here the deeper meaning of Fire refers to the energy field) in its Center core or Nuclei. This demonstrates that Egyptian people were fully aware of the deeper meaning of FIRE and were using it accordingly thousands of years ago. Symbols are a language of silence, of inexpressibility, which is common to all cultures and to all times. Symbols help us to move towards a common truth. The various interpretations of a symbol do not contradict each other. On the contrary, they complement each other as they give different shifts of emphasis of a unique metaphysical or supernatural reality, lying beyond the physical or natural world. 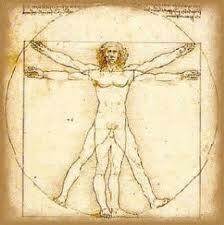 Symbols are deep representations of human beings taking the appearance of stories or drawings or gestures or sounds. As fruit of all cultures and all times, they reflect a reality of a superior order based on a representation of an inferior order. Along these lines, symbols do not express, but suggest. They transcend the diversity of the existential or outer world to reach the universality, the unity of the essential or inner world. Beyond the physical and psychical life, they give access to spiritual life. It is not the drawing, the shape, the gesture or the sound which makes the symbol, it is the symbol which enhances them. Men are capable of perceiving the Pyramid in an astonishing number of ways. Some have thought the Pyramid was an astronomic and astrological observatory. Some have thought it functioned as the equivalent of a theodolite for surveyors in ancient times… Some think it performed as a giant sundial… Some think it records the mathematics and science of a civilization which vanished… Some think it is a huge water pump. Others have thought it was filled with fabulous treasures… One early investigator came away convinced it was the remains of a huge volcano. Another thought the pyramids were Joseph’s granaries. Some thought they were heathen idols which should be destroyed. 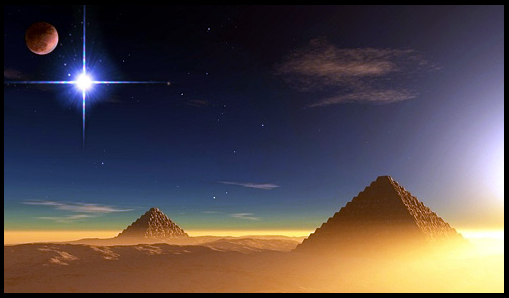 Some believe the Pyramid captures powerful cosmic energies… Some think it is a tomb. Some think it is a Bible in stone with prophecies build into the scheme of its internal passages… Some think it was a mammoth public works project which consolidated the position of the pharaoh and the unity of the nation. Some think it was built by beings from outer space. Some say it was a temple of initiation. Some hold that it was an instrument of science. Some believe it is an altar of Guild built through direct Divine Revelation. And today, judging by the uses to which it has been put, some apparently think it is an outhouse. But there is one idea that has not been presented or explored, and it is possibly the simplest of all: that it was designed and built to represent us. The ancient Egyptian word for pyramids is “Mr”, pronounced as “mer”. But the origin of the word “Mr” is unknown. The term “pyramid” in the Arabic world is the most ancient and largest construction ever built. The triangle shape represents the universal energy and the inverted triangle represents the process of creativity or regeneration. When these two forces, the universal energy and nature combine, then the process of creation starts. The different steps of the pyramid symbolize the various stages of spirituality to be achieved. Reaching the top consists in re-assembling in a unique point the directions scattered at the four corners of our life. It is a matter of re-integration of the being into the Being. This reintegration process conveys the human being from an individual and specific state to a supra-individual and universal state, which is common to all of us. Putting the finishing touches to this assent means realizing the perfect integration of human and divine worlds and really becoming the “Universal Man”. Having reached this stage of spirituality, the being is not able, in principle, to go back to its previous state of individual and to go down the pyramid steps. Before becoming tombs for Royal remains, the pyramids, especially Egyptian ones, probably constituted ritual places where the Pharaoh was initiated to Mysteries. The initiation consisted in a symbolic death of the current state of being and a re-birth into a higher order one; it occurred in all likelihood within the chambers fit up inside the construction. Consequently, the passage from a symbolic to a properly physical tomb must have corresponded to a degeneration of the initiation art. The presence of these chambers meant that the pyramid could be climbed not only according to the external steps, but also from the inner room. As a symbol of the cave or cosmic world where every individual is living, the chamber was used as a heart for a spiritual journey of the initiate in order to reach the summit where the being communicates with the Spirit. In this case, the ascension did not occur on the external slope, but alongside the vertical axis linking the being to the top of the edifice. This direct way gave access to what the Ancients called the “Great Mysteries” or the rebirth of the human being as spiritual Being. Many other pyramid aspects may be mentioned, but they would only confirm its deep meaning. The pyramid and the cosmic cave may be symbolized by two reverse triangles, the first containing the second. The pyramid represented by the triangle pointing upwards evokes the supra-cosmic world and its Principle situated at the summit. The cosmic cave is assimilated to the triangle pointing downwards and symbolizes the manifestation of the Principle here below. The supra-cosmic or inner world contains the cosmic or outer world and includes everything as the Whole. The reverse nature of both triangles provides a typical principle. When triangles intersect, they portray Solomon’s seal fulfilling the perfect union between Heaven and Earth, between the divine and the human realized within the “Universal Man”. Recalling this example simply shows that a unique symbol may be understood in different ways according to the point of view chosen. A symbol can not have a single meaning, otherwise it would risk to be reduced to a simple piece of information. Thanks for reading. Please leave a comment and pass this on to someone who means something to you. This entry was posted in Uncategorized and tagged ancient egypt, Arab world, children, consciousness, egypt, egyptians, Egyptomania, enlightenment, environment, great-pyramids-giza, healing, health, human, humanity, islam, life, motherhood, nature, philosophy, Pyramid, Science, www youtube. Bookmark the permalink. I genuinely like and appreciate your submit.Really looking forward to browse a lot more. Neat. Also undesirable the Joint Commission International hospitals have been not included during this report! Aloha people! Great blog! Do you know more blogs on this topic? Thank you on your web site post.Definitely thanks! Fantastic. Greetings from Carolina! I’m bored to tears at work so I decided to browse your site on my iphone during lunch break. I really like the knowledge you provide here and can’t wait to take a look when I get home. I’m shocked at how quick your blog loaded on my cell phone .. I’m not even using WIFI, just 3G .. Anyways, amazing blog! Hello! I’ve been following your weblog for a while now and finally got the bravery to go ahead and give you a shout out from Atascocita Tx! Just wanted to mention keep up the good job! Some really nice and utilitarian information on this site, as well I conceive the layout has got excellent features. Impressive blog content.Really appreciative! Fantastic. Quality posts is the important to invite the visitors to pay a quick visit the web page, that’s what this website is providing. I do believe all of the concepts you’ve introduced in your post. They’re very convincing and will certainly work. Nonetheless, the posts are too brief for beginners. May just you please lengthen them a little from subsequent time? Thank you for the post. Hey! This is my first comment here so I just wanted to give a quick shout out and tell you I genuinely enjoy reading through your posts. Can you recommend any other blogs/websites/forums that cover the same topics? Thank you so much! I’ve learn some good stuff here. Certainly price bookmarking for revisiting. I wonder how much effort you place to make this kind of wonderful informative web site. Definitely imagine that which you said. Your favorite justification appeared to be at the web the simplest thing to be mindful of. I say to you, I definitely get irked at the same time as people think about concerns that they just do not understand about. You controlled to hit the nail upon the top and outlined out the entire thing without having side-effects , other folks can take a signal. Will likely be again to get more. Thanks! The heart of your writing while appearing reasonable initially, did not work well with me after some time. Somewhere within the sentences you were able to make me a believer but only for a short while. I nevertheless have got a problem with your jumps in assumptions and you might do nicely to help fill in those gaps. In the event you can accomplish that, I will undoubtedly be fascinated. It’s no wonder so many points are going bad in the meantime. Thanks for sending my team in the correct direction. Howdy! I know this is somewhat off topic but I was wondering which blog platform are you using for this website? I’m getting sick and tired of WordPress because I’ve had issues with hackers and I’m looking at options for another platform. I would be awesome if you could point me in the direction of a good platform. Excellent post. I was checking constantly this blog and I’m impressed! Extremely helpful information specifically the last part 🙂 I care for such information much. I was seeking this certain information for a long time. Thank you and good luck. I rattling glad to find this site on bing, just what I was searching for 😀 too bookmarked. The Prime Jaydeep Biswas Approaches to Build Your individual Training Business and What kind is Finest! I do love the way you have framed this matter plus it does provide us a lot of fodder for consideration. On the other hand, coming from everything that I have seen, I only hope as the actual feed-back pack on that folks stay on issue and not start on a soap box associated with the news of the day. Still, thank you for this exceptional piece and while I can not concur with the idea in totality, I regard your point of view. It’s a shame you don’t have a donate button! I’d certainly donate to this fantastic blog! I guess for now i’ll settle for bookmarking and adding your RSS feed to my Google account. I look forward to new updates and will talk about this website with my Facebook group. Chat soon! Together with everything which seems to be building inside this subject material, your perspectives happen to be somewhat refreshing. Nonetheless, I appologize, but I can not give credence to your whole strategy, all be it exhilarating none the less. It would seem to us that your commentary are generally not totally rationalized and in actuality you are your self not thoroughly certain of the assertion. In any event I did appreciate looking at it. Along with everything which seems to be building within this particular subject matter, all your perspectives are generally relatively stimulating. Nevertheless, I am sorry, but I can not give credence to your whole idea, all be it exciting none the less. It looks to us that your commentary are generally not totally justified and in simple fact you are generally yourself not really wholly certain of your assertion. In any event I did appreciate reading through it. Hey would you mind letting me know which hosting company you’re using? I’ve loaded your blog in 3 different internet browsers and I must say this blog loads a lot quicker then most. Can you suggest a good hosting provider at a reasonable price? Thank you, I appreciate it! Do you mind if I quote a few of your articles as long as I provide credit and sources back to your weblog? My blog is in the very same area of interest as yours and my users would genuinely benefit from some of the information you present here. Please let me know if this ok with you. Many thanks! I do like the manner in which you have presented this particular matter plus it really does supply me personally a lot of fodder for thought. On the other hand, because of just what I have observed, I just hope as the actual responses pile on that individuals remain on issue and not embark on a tirade regarding some other news du jour. Still, thank you for this superb point and though I can not go along with it in totality, I regard your perspective. Thank you a lot for providing individuals with remarkably terrific opportunity to check tips from this website. It’s usually so enjoyable plus full of a great time for me personally and my office co-workers to search your blog minimum three times every week to read the newest items you have got. Not to mention, I’m at all times fulfilled with all the effective tips you serve. Certain 2 areas in this post are easily the simplest we’ve ever had. I think you’ve got remarked several very fascinating minutiae, regards for your post. Thanks, I have been looking for facts about this subject for ages and yours is the best I have discovered so far. Admiring the dedication you put into your site and in depth information you provide. It’s nice to come across a blog every once in a while that isn’t the same outdated rehashed information. Wonderful read! I’ve bookmarked your site and I’m adding your RSS feeds to my Google account. whoah this weblog is great i love studying your articles. Keep up the good work! You recognize, many individuals are hunting round for this info, you can help them greatly. I much like the invaluable data you offer you in the article content.I will bookmark your web site and examine once again listed here often.I’m somewhat convinced I will study a lot of new things right listed here! Beneficial luck for your future! Keep up the superb piece of work, I read few content on this internet site and I conceive that your web blog is very interesting and contains bands of great information. I concur! completely with what you said. Good Read. Keep it going..
Hello! Someone in my Facebook group shared this website with us so I came to check it out. I’m definitely loving the information. I’m bookmarking and will be tweeting this to my followers! Great blog and amazing design and style. Virtually all of what you claim happens to be supprisingly legitimate and it makes me ponder why I had not looked at this in this light previously. Your piece really did switch the light on for me as far as this subject matter goes. However there is one factor I am not too comfortable with so whilst I attempt to reconcile that with the actual main theme of the point, permit me see just what the rest of the subscribers have to point out.Very well done. This is a terrific blog, would you be interested in doing an interview about just how you developed it? If so e-mail me! It’s nice and interesting article. I enjoyed reading it.